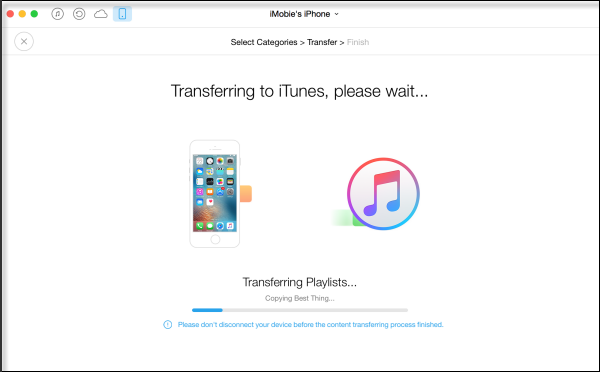 If you’ve had an iPhone for a while and have purchased music on it, or simply downloaded songs, you may want to transfer songs from iPhone to iTunes. Maybe you want the backup to avoid music loss or you want to listen to your music on your PC, or maybe you’re thinking of transferring the songs so that you can put them on another device later. Regardless of the reason, it’s a good idea to use alternative choice instead of iTunes to do this. iTunes tries to limit the kinds of files that you can transfer. Apple is always on the lookout for songs that you may have downloaded from outside the iTunes store, so you may not be able to transfer them if you didn’t purchase them officially. iTunes is a bulky program that is annoying to use because it takes so long to load. The iTunes interface is kind of complicated when you’re trying to accomplish even simple tasks. It supports to transfer files to iTunes from at large 5 iOS devices. By far the best choice of iTunes alternatives is iMyFone TunesMate. It can help you transfer music, photos, video, and other files with just a few clicks. You can transfer your playlists to and from your computer, or you can transfer files individually as well. It lets you preview before you transfer. You can transfer iPhone songs to iTunes library in a few clicks with TunesMate. (1) Open iMyFone TunesMate on computer and plug in your iPhone. .
(2) Choose “Rebuild iTunes Library” from the home interface. (3) Check “Music” and hit “Start” to begin. (1) Once you connect iPhone to computer, go to “Music” at the top on TunesMate. (2) Select the songs there and click “Export > Export to iTunes” to start. No matter which way you choose, you can also transfer podcasts, music videos, audiobooks, playlists, etc. from iPhone to iTunes. It will helps you to detect the difference between files on iTunes and your iPhone, and transfer what’s missing to iTunes. So you will not have duplicate files in iTunes library. 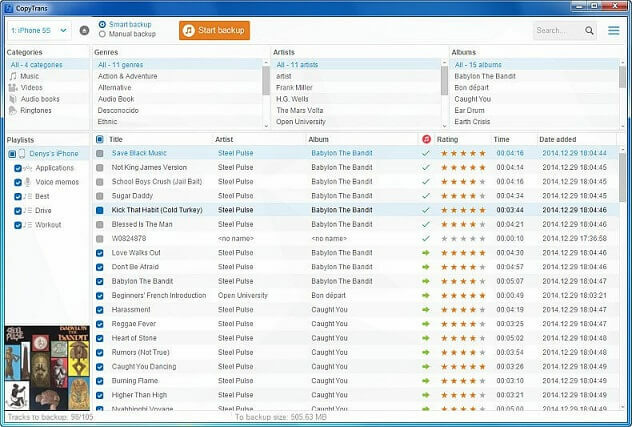 TunesMate has a lot of other nice features that help you manage and transfer music. It is not limited to the purchased songs. 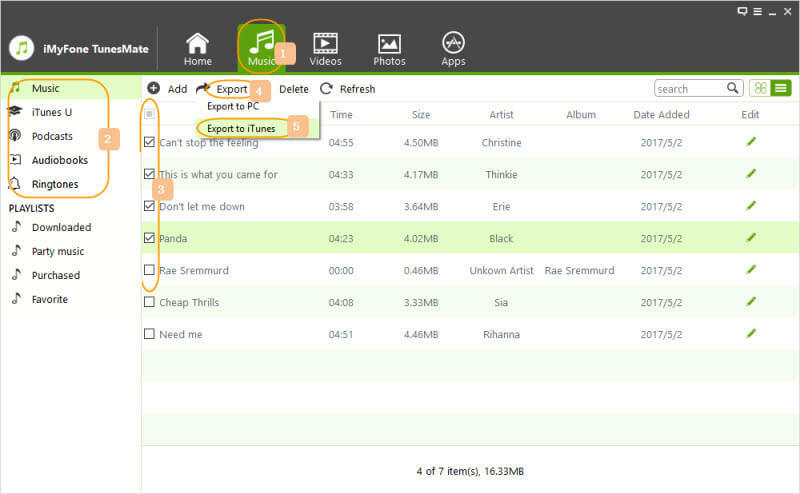 You can also transfer and manage non-purchased songs. It is not limited to songs with specific formats. It allows you to transfer the whole playlist or some songs from the playlist. It also allows you to transfer media files between iPhone and computer. It also allows you to edit the songs as you like. CopyTrans is another iTunes alternative that helps you transfer files, including music files. You can also manage and transfer video, photos, and contacts lists. It works with a good number of iOS devices, and it is fairly easy to use compared to iTunes. You can transfer to and from your PC, and it also allows you to transfer individual files. It’s simple and lightweight, but most people would probably fine TunesMate to be easier to use. This is yet another device manager that rivals iTunes in functionality. It is similar to CopyTrans and has the usual staples of this kind of software. You can transfer photos, music, and video, and you can transfer these files between your PC and your device fairly easily. If you want to transfer all of your files with just a few clicks, you can do this, too. While AnyTrans is popular and simple, TunesMate is probably the easiest to use out of all of the options.